The Miniature Goldendoodle is a cross between the Golden Retriever and Mini or Toy Poodle, so it may develop health problems that are common to both parents. Hip dysplasia and elbow dysplasia may affect some Mini Goldendoodles. Hip dysplasia is when the thighbone does not fit properly into the hip joint, often resulting in pain and the possible development of arthritis. Dogs with hip dysplasia should not be bred. Elbow dysplasia results from a malformed or weakened joint typically caused by unusual rates of growth and development. 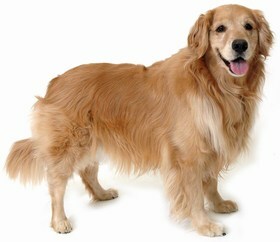 Depending on severity, the dog may develop arthritis or become lame. Weight and medical management can help, along with anti-inflammatory medication or, in severe cases, surgery. Both of these conditions are degenerative. Like many small dog breeds, Mini Goldendoodles may suffer from patellar luxation, a condition in which the knee joint easily becomes dislocated. This dislocation of the knee causes pain and can be crippling in some cases. Sebaceous adenitis, an inflammatory skin disease fairly common to Poodles, is another potential health issue for the Miniature Goldendoodle. They may be prone to eye diseases such as cataracts, glaucoma, and Progressive Retinal Atrophy (PRA). 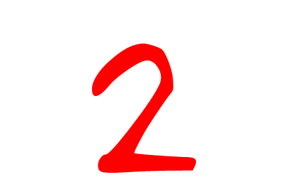 PRA is when the retina gradually deteriorates, ultimately resulting in failed daytime vision. Most dogs with PRA can navigate familiar surroundings even with their diminished or lost vision. Miniature Goldendoodles are also prone to ear infections and, because they love water and swimming, it is important to keep their ears clean and dry at all times. Most Mini Goldendoodles are healthy dogs, and the average life expectancy for this breed is 10-15 years. Miniature Goldendoodles make excellent family dogs and companions. They are very social and love to be around people, with whom they are affectionate, sweet, and friendly. They like to cuddle and are often used as therapy dogs. They are also playful and love games, swimming, and the outdoors. It is not recommended that a Mini Goldendoodle live in an apartment, because access to a fenced in yard is preferred. However, a Miniature Goldendoodle may be content in an apartment if the owner is committed to walking and exercising their dog daily. The Mini Goldendoodle should have at least twenty to thirty minutes of walking, exercise, or play each day. They enjoy activities like playing in water or joining a game of Frisbee at the park. Miniature Goldendoodles are gentle by nature and friendly towards people, including children and strangers. 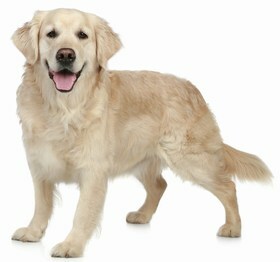 They also get along well with other dogs and smaller pets; they are an affable breed all-around. Mini Goldendoodles do still require socialization to keep them from becoming timid or fearful. They get separation anxiety if left alone for extended periods of time, and they should live inside, not outdoors. Anxiety may lead to destructiveness, so it is often recommended to crate train your Mini Goldendoodle, leaving him with toys, water, and food as needed. Do not leave your Mini Goldendoodle in his crate for more than a few hours at a time; a dog who spends excessive time in his crate will become unhappy and destructive. Miniature Goldendoodles are very easy to train, and for this reason they can be a good match for first-time dog owners. Like both parents, Mini Goldendoodles are highly intelligent and make fast, capable learners. Training a Mini Goldendoodle will not require the excessive repetition needed by some breeds in order to learn a new skill. They are also very obedient and genuinely eager to please their owners. If you begin training your Miniature Goldendoodle while he is at a fairly young age and use positive reinforcement such as praise, treats, and play time, training your pup should be an easy and enjoyable experience. 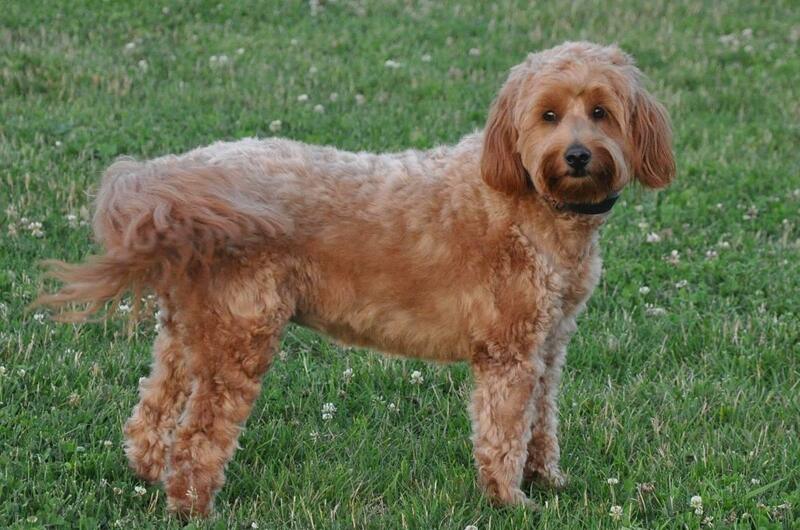 The appearance of the Miniature Goldendoodle’s coat can range from shaggy like a retriever’s to curlier like his poodle parent’s, but in general the Mini Goldendoodle sheds minimally or not at all. 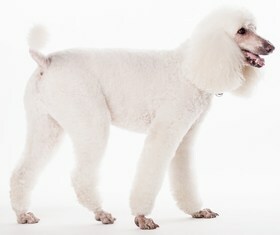 No breed can be guaranteed hypoallergenic, but this breed is typically a good fit for dog lovers with allergies. Most Miniature Goldendoodles will require weekly or biweekly brushing. If you keep his coat short, brushing him once every few weeks will suffice. Bathe your Miniature Goldendoodle only when truly necessary, because overly frequent bathing may dry out his fur and skin. Because Miniature Goldendoodles can be prone to ear infection, it is important to clean and dry his ears thoroughly when they get wet. Frequently check his ears for signs of infection such as tenderness, redness, or a foul odor. Trim his nails at least once a month, but be sure not to trim them to the quick, as this will be very painful for the dog. Periodontal disease is especially common among smaller breeds, so brush your Mini Goldendoodle’s teeth as often as possible to maintain good oral hygiene. On average, your Miniature Goldendoodle should eat 1.5-2 cups of dry dog food daily. The specific type and amount of food that is right for your dog will vary according to factors such as gender, age, activity level, size, and metabolism, but all Mini Goldendoodles should be fed several meals daily instead of being served large meals. This is due to the Golden Retriever’s propensity for bloat, or gastric torsion, which may be inherited by the Miniature Goldendoodle. Your dog should always have access to clean, fresh drinking water as well. Looking for a Miniature Goldendoodle? The Miniature Goldendoodle is fairly pricey for a designer dog, with costs typically ranging from $1200 to $2500. However, some Mini Goldendoodles cost as much as $3000 or as little as $500, although such an inexpensive Mini Goldendoodle may not come from a reputable breeder. If you choose to go the adoption route in acquiring your Miniature Goldendoodle, expect adoption fees around $175. Ranking takes into account a few basic factors including cost, skill level needed, high vs low maintenance and how critical regular training is to success. The Miniature Goldendoodle ranks a 2. He is generally very healthy, and he sheds and barks minimally. He is an affable, gentle dog who gets along well with children, strangers, other dogs, and smaller pets, and he is obedient and easy to train. His owner does need to make sure the Mini Goldendoodle gets adequate exercise and play, as well as enough socialization to prevent shyness and timidity. His owner will also have to keep in mind that the Mini Goldendoodle may suffer separation anxiety if left alone for extended periods of time.